On August 23, 1989, Hungary removed its physical border defences with Austria, and in September more than 13,000 East German tourists in Hungary escaped to Austria. This set up a chain of events. The Hungarians prevented many more East Germans from crossing the border and returned them to Budapest. 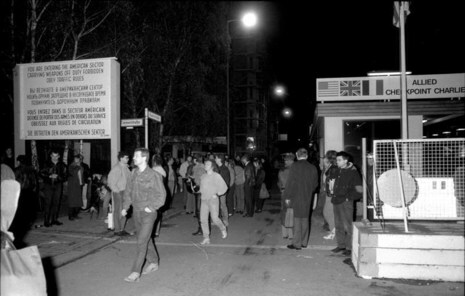 These East Germans flooded the West German embassy and refused to return to East Germany. The East German government responded by disallowing any further travel to Hungary, but allowed those already there to return. This triggered a similar incident in neighboring Czechoslovakia. On this occasion, the East German authorities allowed them to leave, providing that they used a train which transited East Germany on the way. This was followed by mass demonstrations within East Germany itself. (See Monday demonstrations in East Germany.) The longtime leader of East Germany, Erich Honecker, resigned on October 18, 1989, and was replaced by Egon Krenz a few days later. 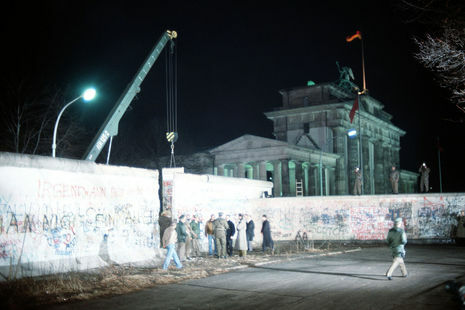 Honecker had predicted in January of that year that the wall would stand for a "hundred more years" if the conditions which had caused its construction did not change. By November 4, the protests had swelled significantly, with a million people gathered that day in Alexanderplatz in East Berlin (Henslin, 07). Meanwhile the wave of refugees leaving East Germany for the West had increased and had found its way through Czechoslovakia, tolerated by the new Krenz government and in agreement with the communist Czechoslovak government. 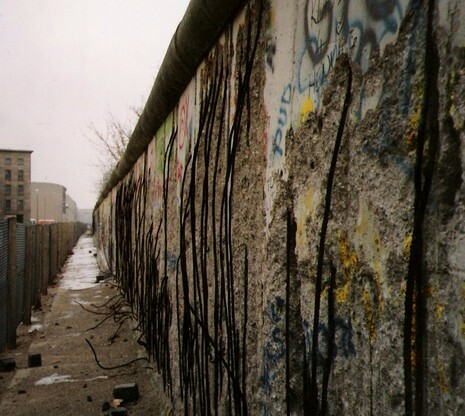 To ease the complications, the politburo led by Krenz decided on November 9, to allow refugees to exit directly through crossing points between East Germany and West Germany, including West Berlin. On the same day, the ministerial administration modified the proposal to include private travel. The new regulations were to take effect on November 10. Günter Schabowski, the Party Secretary for Propaganda, had the task of announcing this; however he had been on vacation prior to this decision and had not been fully updated. 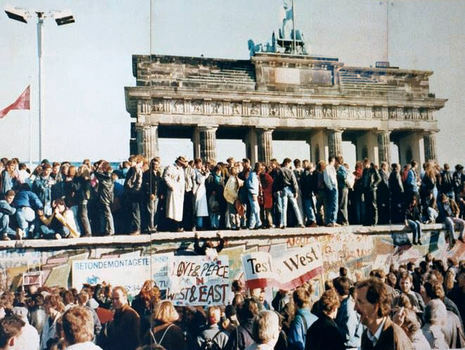 Shortly before a press conference on November 9, he was handed a note that said that East Berliners would be allowed to cross the border with proper permission but given no further instructions on how to handle the information. These regulations had only been completed a few hours earlier and were to take effect the following day, so as to allow time to inform the border guards. However, nobody had informed Schabowski. He read the note out loud at the end of the conference and when asked when the regulations would come into effect, he assumed it would be the same day based on the wording of the note and replied "As far as I know effective immediately, without delay". After further questions from journalists he confirmed that the regulations included the border crossings towards West Berlin, which he had not mentioned until then. "Tear down this wall!" was the famous challenge from United States President Ronald Reagan to Soviet leader Mikhail Gorbachev to destroy the Berlin Wall. 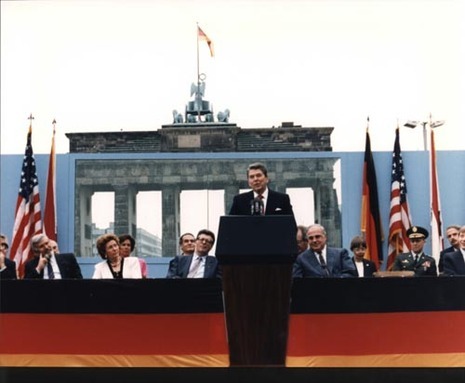 In a speech at the Brandenburg Gate commemorating the 750th anniversary of Berlin, by the Berlin Wall on June 12, 1987, Reagan challenged Gorbachev, then the General Secretary of the Communist Party of the Soviet Union, to tear it down as a symbol of Reagan's desire for increasing freedom in the Eastern Bloc.